Visual Boy Advance was released quite a while now. I remembered when I use this emulator on my old Windows XP computer, and till now with my new Windows 10 PC, I still have this Windows GBA Emulator. As Pokemon fan, I can’t forget how awesome Visual Boy Advance is. Good thing the developers of VBA are still working to update this software. 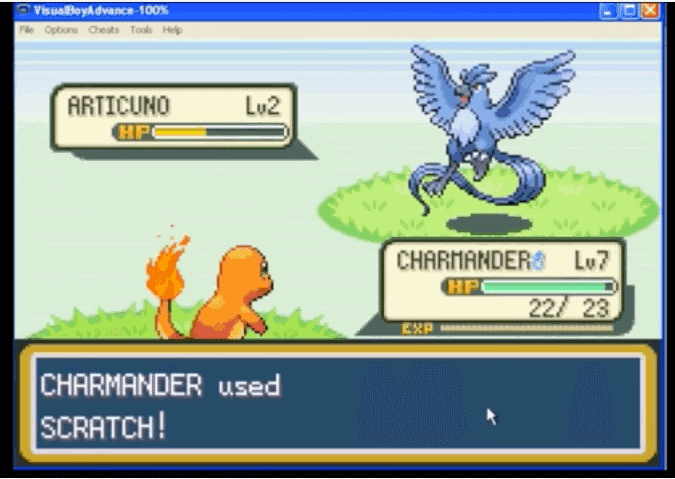 There are dozens of GBA emulators already which available on different platforms, but if you prefer to play Pokemon GBA games on your Windows computer, I would suggest installing Visual Boy Advance. Click here to download VBA. You can also find Visual Boy Advance from sources. However, some have the old version which may not work on newer PC. You can download the latest version of the Visual Boy Advance on Sourceforge. Absolutely, VBA emulator works with ROM hacks and to make any Pokemon ROM Hacks works on your Windows computer, you may need to use Lunar IPS patcher to patch ROM hack .ips file. Creating Windows applications is not merely an easy task. But luckily since when it was available Visual Boy Advance is free to download for all. You don’t need to buy software to play Pokemon GBA games, and VBA has it all you need to enjoy the game, want to explore and enjoy the extra feature of your Pokemon game? Use the cheating feature of VBA. So that’s it, hope this article helps you to get started using Visual Boy Advance on your Windows computer. If you have questions, I would love to answer it as fast as I can, please send using the comment form below and don’t forget to follow our social media account for updates. Agree with other posters. VisualBoyAdvance-SDL.exe file via SourceForge.net doesn’t work – it opens for 0.5 seconds in a Command Line-like environment, and then closes. Tried to run as administrator but failed too. Using Windows 10 Home if that helps anyone. Thanks for the heads up, just want you to know that I’ve made an update to the link. Feel free to try and let me know how it go to you guys. You mean the VisualyBoyAdvance file? That’s strange, did you use any cheats? If yes, then turn them off.